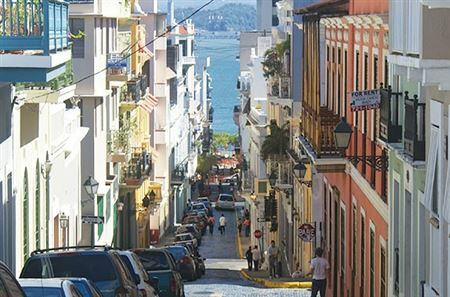 The World History Association is pleased to invite individual paper or organized panel proposals for its 28th Annual Conference, a joint meeting with the Global Urban History Project, to be held in San Juan, Puerto Rico, 27–29 June 2019. The conference provides an ideal opportunity to interact with an international community of world history scholars, teachers, and students. Proposals for panels, workshops, roundtables, and individual papers are welcome on topics related to the conference themes—Cities in Global Contexts and The Caribbean as Crossroads—or on other topics of general interest to world historians. The WHA and GUHP both promote interdisciplinary conversations about scholarship and teaching, so work in anthropology, political science, literature, art, the natural sciences, and other fields is welcomed and encouraged. For the “Cities in Global Contexts” theme, we seek panels by world historians who have taken up urban topics, panels by urbanists attracted by the challenges of global research, and panels that bring these two groups together. We are also interested in strengthening professional networks that cross between these two fields, so conference attendees who wish to do so will be able to join GUHP as part of their conference registration. For the “Caribbean as Crossroads,” we seek panels that address the long history of this region, from the first settlements in c. 5000 BCE to the 2017 hurricanes. Needless to say, panels that address both the “Cities in Global Contexts” and the “Caribbean as Crossroads” themes will be especially welcome!